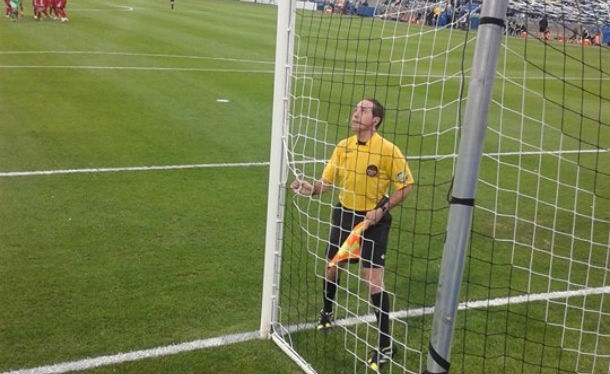 Oscar Mitchell-Carvalho was a proud man after hearing of his assignment to the 2015 NASL Championship game, and the Canadian official is intent on enjoying the moment. Mitchell-Carvalho will be AR for the NASL decider between the New York Cosmos and Ottawa Fury, alongside Kyle Atkins, with center referee Alan Kelly, fourth official Mark Kadlecik and fifth official Eric Weisbrod making up the rest of the crew. The official has gained plenty of big-game experience this season, having the flag 12 times in MLS, but ranks this latest assignment with his career highlights so far. “I was very excited and especially honored to have been considered and selected for this important match,” Mitchell-Carvalho reflected to proreferees.com. It’s now all about preparation for the crew, and Mitchell-Carvalho is looking forward to working with some familiar faces, and ensuring they do themselves justice on the big stage. “I’ve had the chance to work with Alan a few times. I enjoyed working with him, and look forward to it again as well as the chance to work with Kyle and Mark again too. “Every referee prepares his team a little differently, emphasizing certain aspects of the game to be aware of and concentrate on. “After exchanging our notes on the teams, a very important aspect is for us to build our team chemistry leading up to the game, feeding off each others’ energy and settling into the same vibe. Mitchell-Carvalho was promoted to the Canadian National List in 2010, and has been on the MLS roster for just two years, so are there any pre-match nerves, and what’s next for the 33-year-old? “I don’t think about being nervous. Once I am on the field I’ll remember that I am well prepared and confident in my abilities, and I’ll use the adrenaline rush to focus on the game for 90 minutes – and more if necessary. “When I came into MLS I gave myself a first target to get to 50 games. It’s a realistic mid-range target that still needs focus and determination. One game at a time, I’m almost halfway there. “Hopefully I will continue to do well and get assignments. My longer term outlook is towards the MLS Cup Playoffs and being considered for international appointments.